A biographical musical about the life of '60s songwriter Bert Berns. 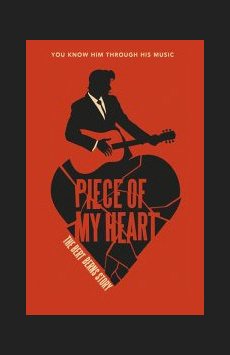 Piece of My Heart tells the story Bert Berns, of one of the most successful songwriters of the 1960s. His hits, which were recorded by such artists as The Beatles, Rolling Stones, Led Zeppelin, David Bowie and Otis Redding, include "Twist and Shout," "Tell Him," "I Want Candy," “Hang On Sloopy,” "Cry, Baby" and many more.